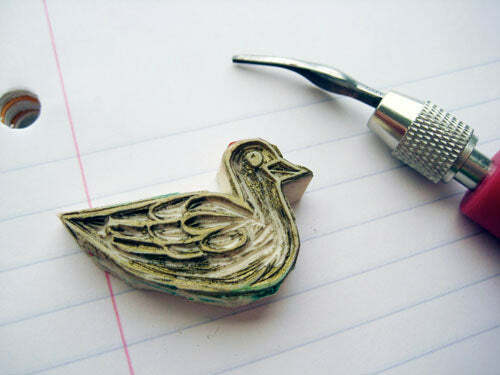 Further adventures in rubber stamp carving. When I first started making rubber stamps I was using a regular old x-acto knife, I was doubtful the rubber stamp carving tools were actually worth the money. Well, at this point I made enough stamps to make the investment so I got the carving tools from Speedball (sold at Michaels) and wow, what a difference in makes! 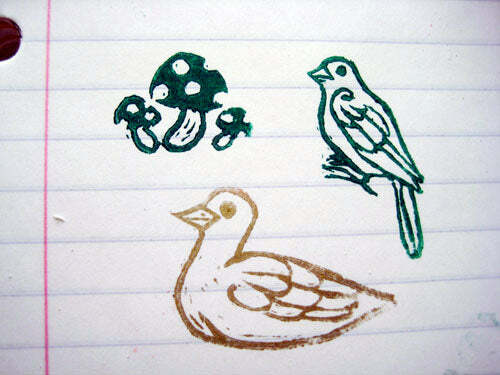 I was telling all my friends how easy it was to make stamps, but these tools make it REALLY easy. (Now that I'm looking at them, they all need a bit of cleaning up still.) So, to confirm: the tools are definitely worth getting.